Umeda is considered the second "center" in Osaka after Namba, and it is located in northern Osaka, in the Kita ward. It is a very modern area with many skyscrapers, it is mainly a directional, shopping and leisure area. 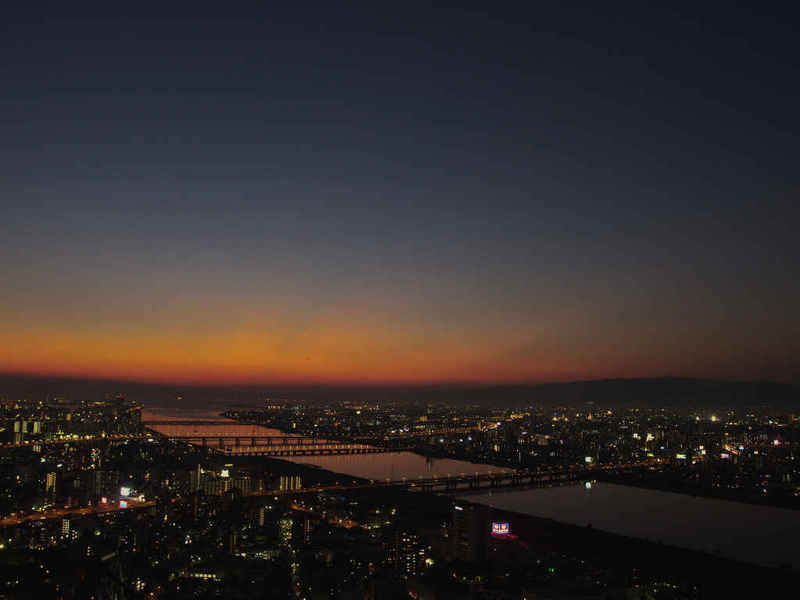 There you will find some big department stores like Hankyu, Hanshin, Daimaru, Tokyu Hands, as well as many small shops and large shopping centers, among which the luxurious Herbis Plaza, that houses inside Armani, Bulgari, Gucci, Louis Vuitton, Dior, Swarovski, Tiffany, and other fashion stores. The two braches of Junkudo and Kinokuniya, the two largest bookstore chains in Japan, are also located in this area. The area north of Osaka station instead is quite anonymous and a bit ugly, the only thing worth mentioning is the branch of the electronics mega-store Yodobashi camera. The Hankyu Entertainment Park is a shopping center with many shops, restaurants, cinema (shops opening hours 11:00-21:00), east of Osaka station and south of the tracks. In addition, in the middle of the mall (see photo below) a red 105 m highferris wheel rises, with a nice a view of the city. 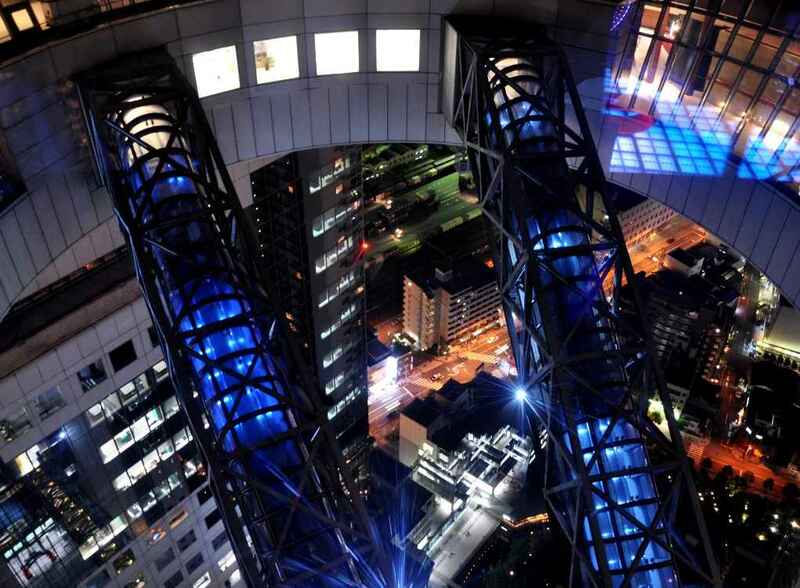 The wheel is open until 23 and a ride costs 500 yen. Within this complex, precisely on the 8th floor, there's also the Sega Joypolis, a giant arcade (game center) with some futuristic games and other strange and incredible attractions. 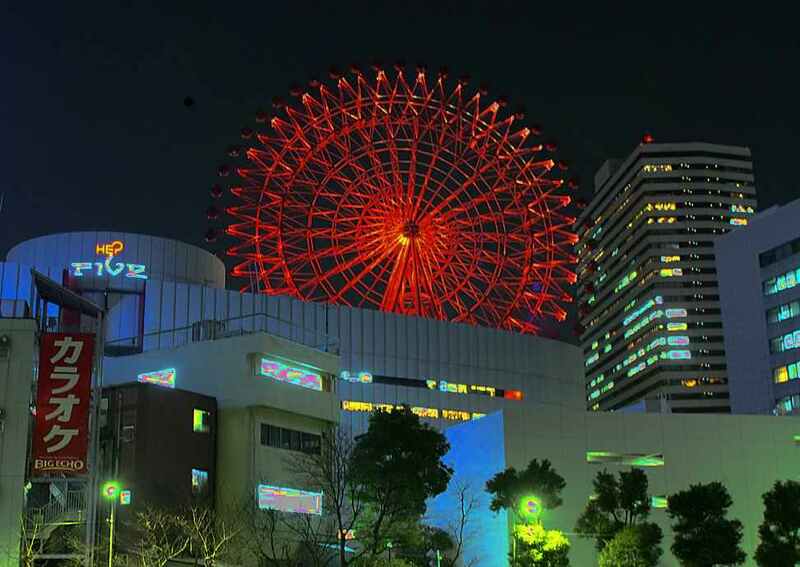 You can buy an unlimited pass for any attraction that costs 2200 yen, but there are some cheaper, for example, that combined with the Ferris wheel (it costs 1600 yen), and includes up to 3 turns for each attraction. Another Sega Joypolis is located in Tokyo at Odaiba. 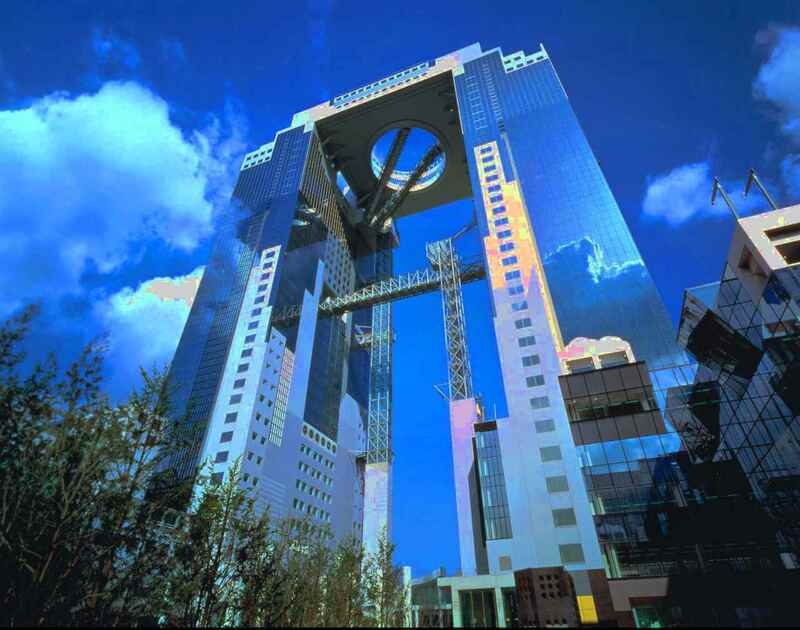 This skyscraper is a symbol of Osaka for its sophisticated architecture, 173 m high, is located north-west of Osaka station and it takes around 10 minutes on foot to reach it. On the top there is the "Floating Garden", a very particular observation deck at 360 degrees, both inside and outdoors, which is accessed via oblique elevators.Opening hours 10:00-22:30 (last entry 22:00). Admission fee 700 yen and I say that it's worth it, especially at night. 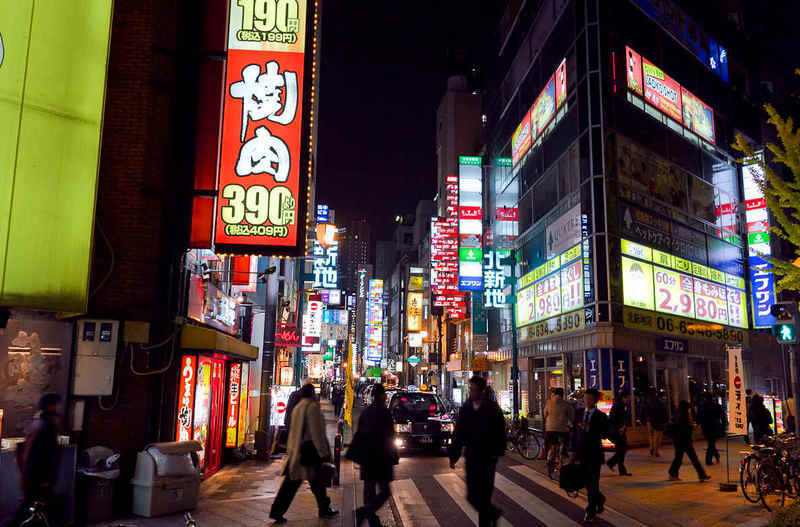 Kitashinchi is considered the nightlife area of Umeda, the small neighborhood comes to life at night and is full of restaurants, bars and various clubs. It isn't a red light district. 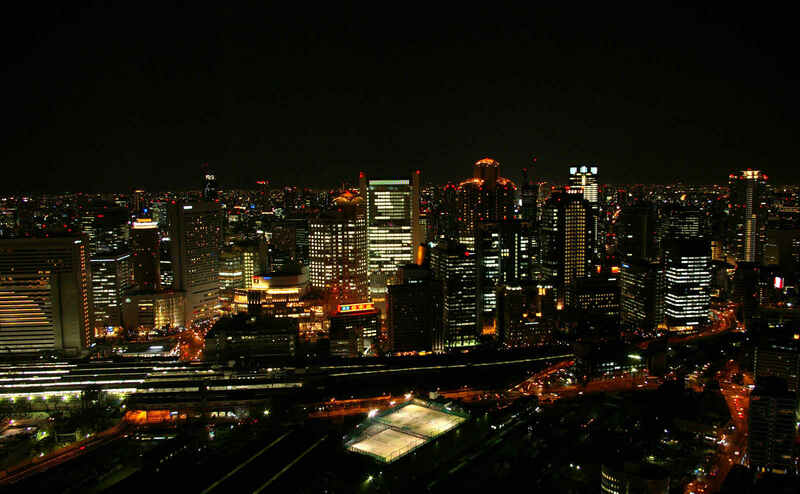 It is located about 500 m south of Osaka station.